Solar pond pumps are a great zero-cost solution for running small water features in your pond, without adding to your monthly electricity bill. In this article we’ll cover some advantages and disadvantageous of solar power pumps, as well as recommend some of the best solar powered pond pumps to help save you money. Solar panels collect sunlight to produce electrical energy, which means no monthly running costs or need for a mains connection. As the name suggests, a solar powered pond pump just requires energy from the sun to work. Solar rays will hit the pumps solar panels and then be converted into electricity. The more sunlight you get, the better your pump will run! The biggest single benefit of a solar pump for most pond owners would be the lack of monthly running costs. So long as you get a sufficient amount of sunlight each day, the pump will be able to function autonomously, without even needing to be wired to your mains socket. Solar pumps are also very discreet, quiet in operation, and usually powerful enough to run smaller water features without trouble. If you live somewhere with plenty of months of sunlight, it can be a great (and cheap) addition to your garden pond. To top it off, solar power is environmentally friendly and considered a green energy source. Renewable energy is the way of the future, and every little helps! Solar pumps are only suitable for water features, and cannot reliably be used for a ponds main filtration system. Sadly, these kinds of pumps do have some drawbacks and are not suitable for all pond features and situations. The first major drawback is the lack of water flow and head height these kind of pumps can produce. Generally speaking, a “powerful” solar powered pump will be in the range of 100-200 GPH of water flow. This would not be sufficient in powering a ponds filtration system, or as a main pump for a large water feature. Solar pumps have not been designed to replace a regular pond pump, but are used to help power small features so you don’t need a separate pump attached to the mains. They are usually purchased as ‘kits’ with a specific purpose in mind, such as powering a small fountain or aerator, and should not be confused with stronger electric models that are designed for heavier operation. Another drawback is the limitations of a solar pumps battery capacity. During the day, sunlight is converted via the solar panels and stored as energy within a rechargeable battery pack if one is included. When the sunlight fades, the stored battery energy will have to take over. Depending on the efficiency and size of the battery, there may only be enough energy for a few hours of operation. The most common type of solar pond pump is the fountain pump, which usually comes with both pump and fountain head included. These pumps are designed to be placed on the pond floor with the fountain attachment above the surface of the water. The solar panels will be connected to the pump and will power the fountain using the days sunlight. Although you won’t get a huge amount of water height here, solar fountains are surprisingly effective and great for smaller ponds as features. Since a certain depth is required for an optimal display, they may not be suited for deep ponds and often work best on shallow pond banks. Another type of common pump is the solar air pump, which is used to provide extra aeration (oxygenation) to your pond water. They function the same as a fountain pump, with both solar panels and a battery for collecting charge. Instead of powering a water feature, though, they act as a simple method of adding oxygen to your water. If you do not have a water feature in place, such as a fountain or waterfall, having an extra means for oxygenation may be helpful. This is especially true if you have a pond stocked with fish, as more dissolved oxygen will improve fish health and water quality. In this article we concentrate mostly on solar powered fountain pumps, but you can check here for our guide on the best air pumps if you’re interested. The first question you should ask is if the pump is powerful enough for its intended purpose. If you have a 2000 gallon pond, for example, a 200 GPH solar pump will not be sufficient as a main pond pump. If you want to add a small 3ft fountain to your 300 gallon pond, however, a solar powered fountain pump may be the perfect solution. In general, most solar powered pumps are designed for ponds of a maximum size of 1000 gallons, but can also be used in larger ponds as a complementary feature so long as they’re placed on a shallow shelf. Do I get enough sunlight? Without sunlight, solar pumps just won’t work! You’ll need to make sure you can set the solar panels in an area which catches a good amount of daily sun for maximum benefits. On overcast days, if your pump has a battery included, you can also let the batteries keep the pump running while you wait for the sun to return. Solar panel and battery quality? Solar panels need to be manufactured to a high quality standard, and the larger the panels in size, the more power will be produced! For your solar pump to keep running at night and on overcast days, you’ll also need a solar battery with adequate charge. From experience, after a full day of sunlight, a good battery should provide around 3-5 hours of further use before the charge is depleted. If the pump kit doesn’t come with a battery pack included, you can purchase one separately and attach to the solar panels fairly easily. Due to the different brands available between the US and UK markets, we’ve researched and divided our categories to provide both American and UK pond owners a review on the best solar powered pond pump available. We have listed below our recommended solar fountain pump picks available to both the US and UK market. A simple and fairly powerful solar pump kit with a generous solar panel size. Lewisias’ Solar Pump kit features a 300 GPH solar pump connected to a 10W Mono-crystalline solar panel. The solar panel is attached to a sturdy steel frame which provides support and easy positioning. The frame allows for 3 angles of positioning, or can be placed flat against a surface of your choice. If using the frame the angles should provide good options for sunlight exposure, but a few more sharper angling options would have been ideal. The pump is fairly powerful for a solar pump, and will start working after around 3-5 seconds of bright sunlight collection. We tested this model within a small 200 gallon fish pond and placed on a shallow shelf. The fountain obtained a good amount of height, and flow was strong while the sun was constant. The fountain height is adjustable, and comes with 6 different head attachments for different fountain displays. They are quite fiddly to attach, but work surprising well. This solar pump kit doesn’t come with a battery, however, so there is no option for powering without constant sunlight. It will only work when in direct sun, and will simply turn off during the night or when heavily overcast. With that said, this is still a very good choice for pond owners who want a compact but fairly powerful pump with a good fountain display height. It would work great in ponds up to 500 gallons, or in larger garden bird baths. A fantastic solar powered fountain pump kit with a large rechargeable battery pack system and bright LED fountain lights. The Sunnydaze solar package provides everything you need to get started with a solar powered water display, including a pump rated at 132 GPH, a 4 hour battery pack, multiple fountain attachments, and a 5 watt solar panel display. Even though the panel is fairly small in comparison to some other models, it still packs a decent punch under full sunlight, being able to provide a 4.5 foot water display on full battery charge – great for smaller ponds, bird baths, or extra aeration! One of the best aspects about this kit is the very large (by solar standards) battery pack that provides up to 4 hours of runtime during twilight and overcast periods. In strong sunlight, the battery will charge slowly through the solar panel, and once full, will switch on automatically when sunlight becomes too low to power the fountain directly. The battery unit also has a convenient control panel and indicator lighting system, providing options for setting a daily timer or alternating the flow rate of the pump for a specific height of water display. If you want to run your fountain display after hours, this kit would be a solid choice as it has one of the longest lasting battery packs we’ve seen on a solar model. In terms of accessories, two 16 foot cables are included to connect the pump and the battery pack together, as well as four different fountain heads for different water displays. Another benefit of this particular kit is the inclusion of a bright LED light which attaches just under the fountain head. The light does a great job of making the fountain look more alive at night, but it won’t likely be enough to illuminate much more than the solar display itself – but it’s a nice addition nonetheless! A great solar kit if you want maximum twilight operation, lots of fountain display options, and some lights to make things more vibrant. Solarrivers Solar Fountain pump is one of the more powerful solar pumps we have used, being able to output close to 400 GPH at max voltage. This solar pump kit would be perfect for pond owners who want a slightly larger fountain, or need some extra power from their pump. The pump itself is fully submersible and comes with a removable filter to help prevent clogging. The 20 watt poly-crystalline solar panel is quite large and capable of producing decent output when the sun is bright. There is no frame for angling options on this unit, so you would need to place the panel flat on a surface in good sunlight. The cable is quite long (16ft), however, so it should be fairly easy to get the panel in a good position. The panel comes with a very small battery on the back which holds some charge after the sun fades, but we found this very underwhelming. Unless you have had a full day of constant, strong sunlight the battery will not be able to power the pump for long. If you want to use this during the night, we recommend attaching a larger battery separately. With that said, in terms of solar power, the pump is one of the strongest we’ve tested and the solar panels are large enough to produce a good amount of current. An ideal solar option for both small and medium ponds looking for a cost effective solar fountain pump with very good water lift heights. A powerful solar powered fountain pump kit which comes with solar pump, fountain, battery, and LED lights! The Tidal solar pump kit operates at a mighty 400 LPH and can create a fountain display up to a maximum height of 1.4 metres on a full battery charge. The pump is powered by a high quality 5 watt solar panel which is also attached to a battery pack providing up to 6 hours of operation after a good day of sunlight. The pump comes with a single triple-cascade style fountain head attachment, as well as sturdy plastic stakes to secure everything in place. Although only 1 fountain head attachment is included, the kit makes up for this with a powerful 7.4V battery pack and 4x LED solar pond lights. The white lights provide a fantastic back-drop to enhance the fountain display, and since they’re solar powered, they won’t cost you a penny extra to run! The battery is also one of the best we’ve seen, which turns switches on automatically during low-light conditions and holds a considerably long charge for its small size, allowing up to almost 6 hours of night-time/overcast operation. The solar panel itself is sturdy, durable and can be easily positioned anywhere in the garden using the spikes provided. Set-up overall is incredibly easy, and all attachments fit neatly in place. The solar panel does best in a position of high sunlight, so make sure to take this into account when installing if you want that maximum water height of 1.4 metres. Overall, this 400 LPH pump is strong enough for a medium sized water display, and would work well for both smaller water gardens and larger fish ponds in need of extra aeration. If you want maximum twilight operation, the battery pack is one of the best we’ve seen, with the solar pond lights being a nice touch to complete the package! If you need a little more power and a larger fountain height, PondXperts SolarShower fountain range are a great choice. The 400 model SolarShower kit comes with a 400 LPH submersible pump with a large 5 watt solar panel display. This pump provides greater water lift height compared most other solar pumps, so would be idea for pond owners who want a larger fountain display. The solar panel is sturdy and easy to position, providing plenty of power to the pump on a bright day. The kit comes with a 9v rechargeable lithium battery which provides around 2-4 hours of operation on full charge. The solar panel also has illuminated LED lights which automatically switch on during the night, which is a nice touch. Even though the fountain provides good height for a solar pump it cannot be positioned deep (approx 20 inches), so you will need to take this into account before installing. Overall, PondXperts SolarShower fountain kit provides a great solar pump option for pond owners who require a larger water display and more power. A fantastic UK solar pump offering comes from Hozelocks Solar Cascade fountain pump. The pump has a fairly large solar panel which powers its 300 LPH submersible fountain pump. The solar panel is attached to a plastic stake for positioning, and the pump comes with a single fountain attachment head. The pump is not the strongest we’ve tested, but we love the efficiency of the solar panel and battery pack. The solar panel is very high quality and provides a decent amount of power when the sun is bright. The kit also comes with 4x rechargeable batteries for operation during overcast days or nighttime. The batteries are reliable and provide a good 3-5 hours of operation on a full charge, which is really decent for a solar pump. When operating under full sun, the pump is capable of a maximum fountain height of 1.1 meters, which is a good height for smaller ponds. The pump also comes with a 1 year full replacement warranty for peace of mind. Overall, a great solar pump choice with a good battery pack for twilight operation and solid water lift heights. I saw a video online of a 100 watt solar panel power a DIY aeration pump. We’re only interested in pumping air into the water for water quality, not powering a fountain or feature. Will that kind of wattage do anything for small lakes? How small is this lake exactly? And does it have fish? Although the wattage of a solar panel is sometimes the most useful indicator of aeration potential on a small scale, if you’re installing something on a much larger scale (5K gallons+), what you also want to look at is the CFM value of the equipment compressor – which is the volume of air it can move per minute per cubic foot. 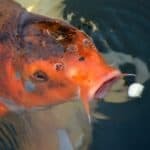 For good aeration, a CFM compressor rating of between 1.0 – 4.0+ is a reasonable guideline for ponds between 5,000 and 35,000 US gallons which also have fish. Again, this is for large-scale aeration, so if your lake is actually quite small, you may get away with something smaller. It all depends on water volume, lake size, and fish stocks! The pumps and solar panels in this article are only really designed for garden fish ponds, and won’t be very useful for larger applications. You could simply add a standard tee fitting to some flexible hose which would then drive water to both the fountain and water stream. The real issue here would be whether the pump has enough head height to actually move sufficient flow to the individual features without losing pressure. If you’re only looking to power two very small water features, the Solar River 400 GPH model shown in this article may have enough head and flow to do the job. I’d personally recommend two separate pumps for a better water display, as these kinds of solar kits are not really suited for powering multiple features at once. Glad to hear you’re happy with the pump! In terms of connecting a bigger battery, or more than one battery, you would need to match the voltage of the solar panel to that of the new battery. So, in this instance, as the Tidal 400 solar panel is rated at 9V, you could either connect a larger 9v battery (compared to the 7.4v supplied), or two smaller 4.5v batteries connected in series (not parallel), which would add up to 9v total. I woder whether you could advise on a problem I have. I want to pump enough water to feed water butts in my garden. The problem being the pond is 150 metres away and approx 3m below. The pond is stream fed. It would not be a problem if the pump delivered slowly or intermittently. Can you help? That’s a fair distance away! Are you specifically looking for solar pump here? Pumping water that distance will require a lot of flow and head, so if you don’t have access to a mains socket, I can only think of two options: 1) Windmill Generators or 2) High Capacity Solar Panels. Since windmill generators are usually coupled with air compressors in the pond/lake trade, opting for a larger solar system is probably easier. Hi, I am in Australia, and can’t find any of these. Looking to power a fountain, 1m lift. Any thoughts? I think Amazon Australia has a decent selection of solar pumps these days; many similar to the US/UK counterparts. I’d maybe have a look over there first!